1 AIA LU/HSW; 1 GBCI CE Hour; 0.1 IACET CEU*; AAA 1 Structured Learning Hour; AANB 1 Hour of Core Learning; AAPEI 1 Structured Learning Hour; SAA 1 Hour of Core Learning; MAA 1 Structured Learning Hour; NSAA 1 Hour of Core Learning; OAA 1 Learning Hour; NLAA 1 Hour of Core Learning; NWTAA 1 Structured Learning Hour; This course can be self-reported to the AIBC, as per their CE Guidelines. Discuss the factors involved in the recent rash of construction fires around the nation. Explain masonry’s ability to resist fires and assure safe buildings both during the construction phase and after completion. Identify the ways in which masonry can resist moisture intrusion and protect buildings from moisture damage over the life of the building. Describe three masonry systems that have been upgraded to meet codes, resist fires, and boost building performance and energy efficiency. Fire safety is one of the paramount responsibilities of architects and developers, and it is dependent on careful selection of materials and proper design. Deficits in either area may result in a building fire, which can be a dramatic and devastating event, often incurring extensive property damage and, unfortunately, loss of human life. 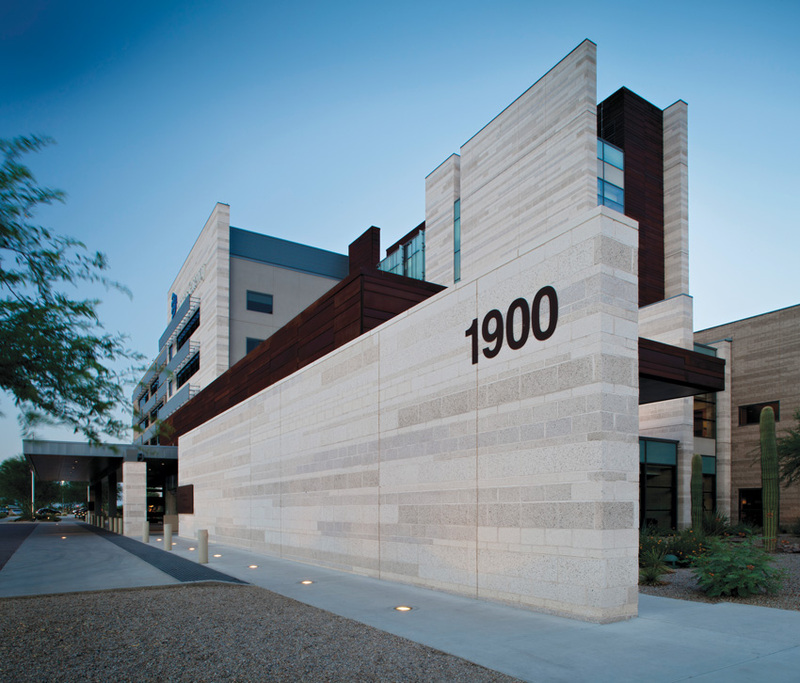 Masonry products have been upgraded to meet stringent codes and evolving performance targets. Since February 2017, a number of high-profile fires have occurred in large wood structures in cities across the country, notably Oakland, California; St. Petersburg, Florida; Arlington, Virginia; College Park, Maryland; Overland Park, Kansas; Raleigh, North Carolina; and Maplewood, New Jersey. It is important to note that these were construction fires, not fires that occurred in a completed and occupied building. The building type in question—wood-framed construction over a concrete podium—is a relatively new but highly popular design, enabled by the International Building Code’s increase in allowable height for wood construction in apartment buildings. The finished building, equipped with sprinkler systems and fire separations, is considered safe. But building codes may not fully address life safety and property protection during the construction period, and that is often when a building is most vulnerable to damage. Some maintain that structures built of wood are particularly vulnerable during construction for a number of reasons. 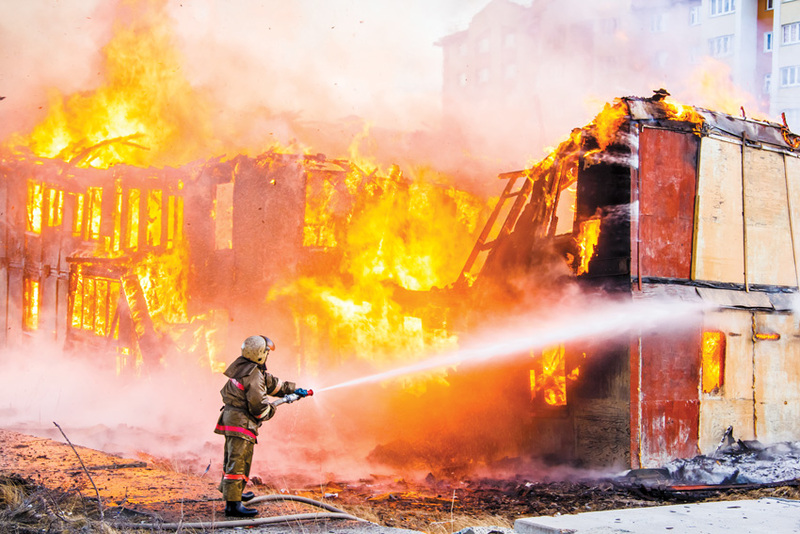 Wooden structures are considered “lightweight” combustible construction, a scenario that promotes specific fire risks. In addition, in the early construction phase, drywall may not yet be installed, sprinklers systems activated, or fire alarms, fire separation devices like gypsum board, fire doors, etc. in place. Further, wooden structures have void spaces between floors and ceilings where fire can spread quickly and undetected, whereas noncombustible materials slow the flame spread. According to Jason Thompson, vice president of engineering for the National Concrete Masonry Association (NCMA), the evolution of building codes over the past 30 years from prescriptive to performance based counts heavily in the “beginning of the end of the inherent fire robustness of our buildings.” He explains that building codes now allow usage of fire-rated assemblies of combustible construction. “The inherent redundancy of a concrete block firewall has been lost,” he says. “If a fire starts, it can burn quickly through the building.” And the increase in allowable height of wood construction presents a double whammy. “A wood-framed apartment complex consisting of 500 units has a significantly greater fuel load, and due to its size, can inhibit firefighter access during a fire,” Thompson adds. While the perception is that wood-framed midrise buildings offer cost-effective, high-density structures that can be constructed quickly with a low carbon footprint, some firefighting groups as well as cities and towns have expressed concern over their safety and are pressing for a ban on the use of combustible materials in multifamily construction. “A hard look is being taken at whether the pendulum has swung too far in permitting larger wood-framed buildings,” Thompson says. “It’s happening nationally, regionally, and at the state and municipal level with varying levels of traction and implementation.” Examples include the town of Sandy Springs, Georgia, which passed an ordinance disallowing this type of construction, and the states of New Jersey and Maryland, where similar legislation is under review. 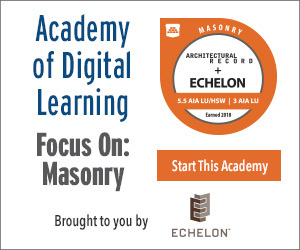 This course will describe masonry’s inherent characteristics and how the material has been improved in order to withstand the threat of damage from fire, moisture, and mold, meeting today’s stringent code requirements and performance standards. Also discussed will be masonry’s architectural options to meet pleasing contemporary design standards. Masonry is a valuable, noncombustible alternative to wood. Wood, on the other hand, is a combustible material. Thompson explains that wood construction is transitioning from traditional 2-by-4s to engineered lumber, which is composed of chips and sawdust to create a composite material offering greater strength with reduced weight, thus allowing larger spans, such as floors with engineeredwood joists. The problem from a fire standpoint is that engineered wood can burn more quickly due to the presence of resins and glues that bind the engineered wood members together, which can accelerate the fire spread. Another development in the wood industry is cross laminated timber (CLT), in which smaller pieces of timber are glued or nailed together to simulate heavy timber. Heavy timber will char, which does provide insulation from a fire, and will slow fire spread, although in time it will still burn. According to Thompson, the jury is still out on whether CLT acts like heavy timber in a fire, with third-party tests scheduled for later in 2017. To prevent fire damage in multifamily housing, the concept of balanced design is particularly important. Balanced design is predicated on four strategies that work in unison. Prevention: Housekeeping, education, and building layout that decrease the likelihood of a fire starting in the first place. Detection and alarm: Smoke detectors and alarms to alert building inhabitants to a fire before it can spread. Suppression: Sprinklers, fire extinguishers, etc. to put out the fire quickly. Strategic compartmentation: Fire safety demands that a wall stop the spread of fire throughout the building and that it retain structural integrity throughout the fire-fighting operations. Building construction with masonry fire walls isolates and contains the fire and smoke while maintaining the building’s structural integrity—essential to safe evacuation and provision of safe areas to enable firefighters to work effectively. Masonry walls contain the fire and noxious gases and remain structurally stable. It’s well-known fire-resistant qualities have made masonry a frequent building material of choice in fire stations. While there are no actual statistics on the subject, a large number of U.S. firehouses are built of masonry, not only for its fire-resistant properties but also for its aesthetic adaptability. It’s well-known fire-resistant qualities have made masonry a frequent building material of choice in fire stations. 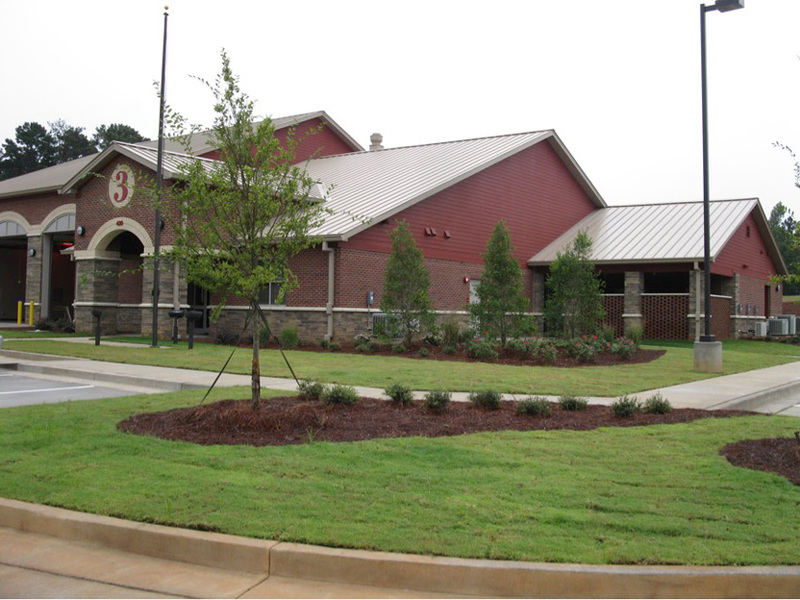 According to Bill Howell, architect and president of The Howell Group Inc. in Marietta, Georgia, who has designed 29 Georgia fire stations over the past 30 years, “Fire stations pose a unique opportunity for architects because towns need to add fire services as residential development expands to keep response time and insurance premiums both low.” They also pose a unique problem as they house people alongside highly combustible fuel in large trucks. The truck storage areas are viewed as hazardous, as the trucks store diesel fuel, so the building code requires a material with a 2-hour fire rating between the storage and residential areas if the building is without sprinklers. Howell achieves this with an 8-inch concrete block wall. 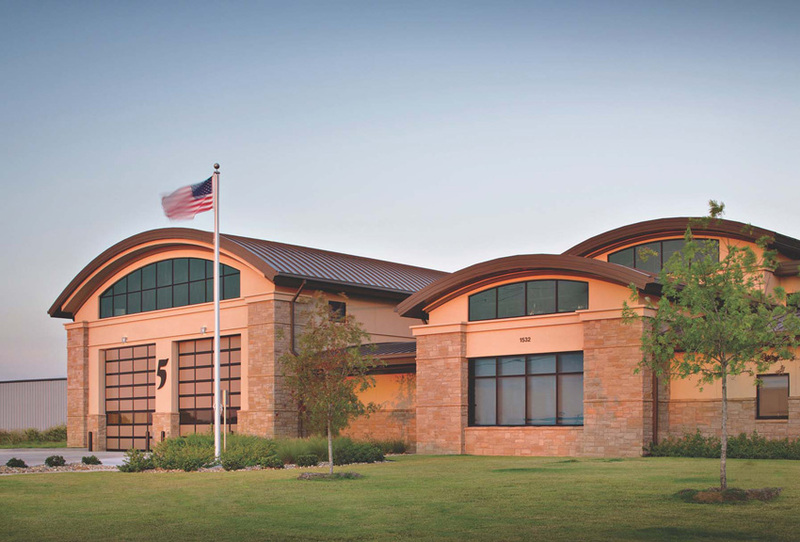 For a fire station in a small Georgia town, The Howell Group used conventional modular brick with masonry veneers with a hand-chiseled texture of natural stone around the base of the station and on the entrance columns.